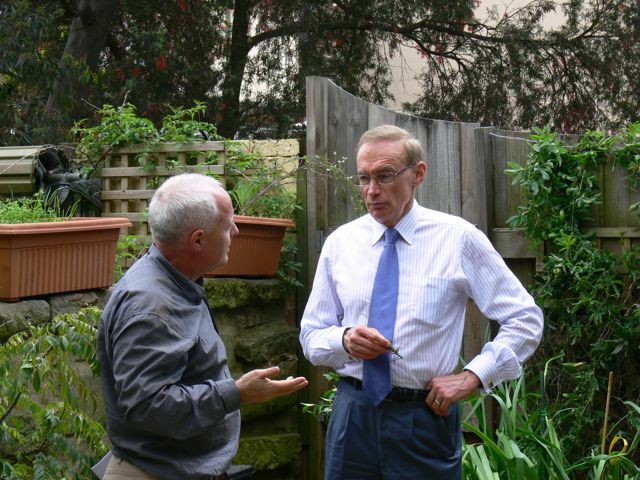 I wasboth fortunate and humbled to have received an invite from Michael Mobbs to attend the launch of the Second Edition of his book, ‘Sustainable House’ in Sydney yesterday. This was a day to celebrate the wonderful and diverse achievements Michael has made and continues to make in sustainability. It was magnificent to have the former and longest continuous serving premier of NSW, Mr Bobb Carr in attendance to officially launch the 2nd Eddition of Michael’s book. For those who do not know the history, Bobb Carr officially opened Michael’s sustainable home on Monday 9 December 1996, so it was fitting and inspirational for Bobb to again be present at this landmark event. For me there are no finer examples of leaders and heroes than those that lead by example. When Michael spoke yesterday I felt a great connection with the message he calmly and quietly delivered. “The conversations surrounding food, water and energy are and will be uncomfortable for Australians to hold”. I enjoyed the beautiful local food, all if it inspired by Michael’s magnificent roadside gardens in Myrtle Street, Chippendale. The sweet clear water we sipped was precious rainwater, collected from the roof of Michael’s terrace house. To my right was the entrance to a bee hive, buzzing with activity. Being allergic to bees I might have been a wee bit concerned were it not for the fact that these were in fact native stingless bees. These are the conversations that need to be held and the conversations are starting right now as we come to grips with the reality of a changing climate and a battered Mother Earth. The truth is there will be implications for the water we drink, the energy we use and the essential food sustains us all. Michael and his Sustainable House were part of the inspiration for our sustainable home here in Canberra. A well thumbed copy of the Michael’s first edition of Sustainable House takes pride of place on our bookshelf. I vividly remember handing a copy to our nominated plumber John Chiera, as we sat in the shade of a street tree at the front of our home discussing details of our water systems. I now have the First and Second Editions of Sustainable House side by side. I can hardly wait to delve into this the latest edition. Every Australian should have both of these books in their libraries, so do yourself a favour and buy them!!!! Sustainable House Day is a whole of community event and goes to the heart of key social aspects in our society, a critical component if we are to become a truly sustainable nation and global community. A big thank you to all the untiring volunteers who made the opening of Canberra’s Sustainable House possible on Sustainable House Day 12 September 2010. At this stage for privacy reasons I will not mention names, but you know who you are and you the visitor may have met and perhaps even know some of these fine people. If volunteers would like their names added here, please let me know and I will do so. Thanks also to SHMECO, Australian Institute of Architects and the event sponsors. The organisation is a huge task and relies enormously on volunteers, paid staff and financial contributions of the sponsors. 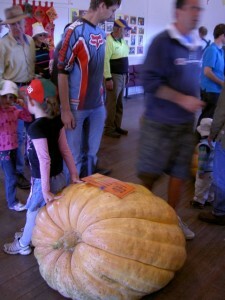 Let’s hope the Commonwealth Government reinstates financial sponsorship and support for Sustainable House Day 2011. I also want to thank various parts of the Media for their contribution to promoting Sustainable House Day in 2010. I particularly make mention is no priority order of The Canberra Chronicle, The Canberra Times, WIN TV, and ABC Radio (666 Canberra). Finally, I want to thank you, the public, who gave of your Sunday time to visit Canberra’s Sustainable House as you journey towards a sustainable future. Remember the summit of this mountain is well above above the 8 star altitudinal level. Remember to turn your frustrations into fascinations as you grapple with awkward times retrofitting, renovating or building new. Sustainable House Day 2010 dawned frosty, bright and sunny – we knew it would. All the solar aspects of Canberra’s Sustainable House were shining. The solar hot water system was heating at full tilt, our power station with it’s untiring work ethic was busily converting light to electricity. The north facing windows allowed in sunshine, gently warming our home. We opened some windows mid morning as the power of sunlight combined with the warmth emanating from our enthusiastic visitors brought Canberra’s leading sustainable house to a balmy 25 degrees celcius. The kitchen garden was of course showing off and leaves hard at work, magically converting light into gourmet ingredients. The link between Kitchen and Garden is a critical one as we move to the low carbon society. 300 visitors in all. My sincerest apologies to the countless others who were turned away. 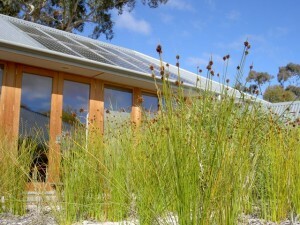 Guided tours are available everyday at Canberra’s Sustainable House. Sustainability education and learning is a key focus of our tours. It is as though Sustainable House Day is everyday here. Every hour is Earth Hour and every day is World Environment Day at Canberra’s Sustainable House. I am always inspired to have young people on tours here at Canberra’s Sustainable House. Yes I have to rack the gravel paths after they visit, replant the flower beds and even wait for the next round of raspberries to fruit. But these are the people who inherit the future we leave them and it is a privilege to observe them learning about sustainability. Eating raspberries picked fresh from the vine is sustainability in action. 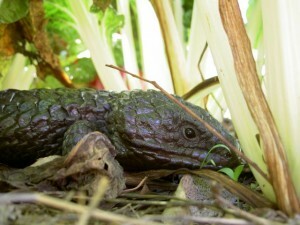 I was fortunate to discover a piece of artwork left behind on our verandah on Sustainable House Day. The woodland trees festooned with mistletoe maybe seen in this artwork? And the sun is shining brightly – brilliant. I know not who the artist is, but I would be happy to both credit the work and return it to the rightful owner. Do let me know if you know more than I do. 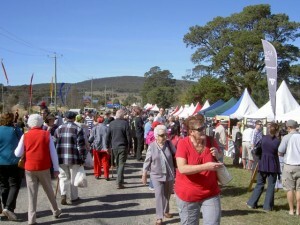 The second annual National Electric Vehicle Festival is on again this year in Canberra. An inspiring event organised by the Australian Electric Vehicle Association (AEVA) and the ACT Electric Vehicle Council. Visit their website for details and location. 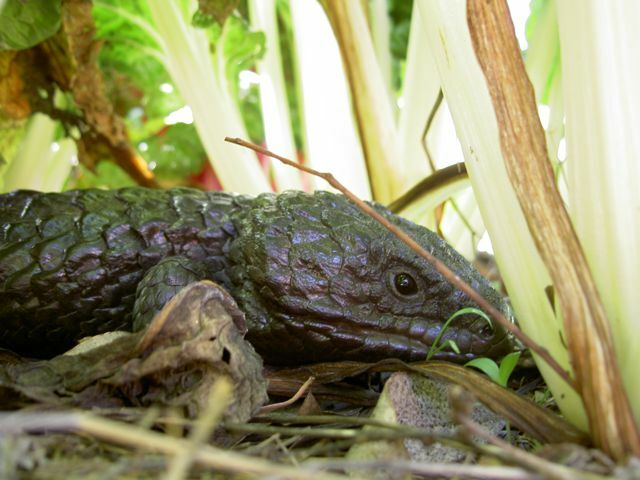 Creatures from all over Canberra are flocking from far and wide to see for themselves the environmentally friendly home and gardens at Nick’s former home once known as Canberra’s Sustainable House. Take the beautiful local Canine, Leo for example. He was drawn immediately to the feature concrete floors of Canberra’s Sustainable House. 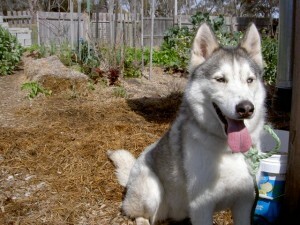 “I just couldn’t resist” said Leo, a beautiful Husky dog from Canberra’s Inner North. “Why are new houses that use heaps of extra energy being built when there is a home like this one that uses none!! And it is way comfy?……..I just had to dash in and feel the luxurious warmth of Canberra’s Sustainable House while I had the chance”. Fortunately for Leo (pictured here) former sustainable house Nick and visiting environmental glass guru, Dale were on hand to calmly guide young Leo to a comfortable spot on the verandah. Leo enjoyed the spectacular views across the productive kitchen garden and into the yellow box woodlands beyond, sipping serenely from a bucket of sweet, cool, rainwater. “The kitchen garden has been such an inspiration”, commented Leo, “I couldn’t just sit here gaining inspiration without getting ‘paws on’, so I broke open a few bales of hay and did some mulching – bloom’in marvelous this garden is!!!”. May is the month that usually sorts passive solar houses from their non solar counterparts. In sunny Canberra many houses will switch on their heaters and start consuming fossil fuels at an alarming rate. Householders often find out too late and are faced with enormous energy bills. 99.99% of Australian housing stock is in desperate need of assistance to improve their comfort levels. Canberra houses are particularly poor performers. May is the month when Nick Mayo’s former home, Canberra’s Sustainable House really begins to shine. A great time to tour the house and feel the amazing comfort the owners strived so hard to achieve. Nick Mayo carried out a detailed energy assessment of Canberra’s Sustainable House. Key appliances were replaced with worlds’ best ultra low energy units. Total house energy consumption should be reduced by close to a megawatt hour per year, or one thousand kilowatt hours per annum. 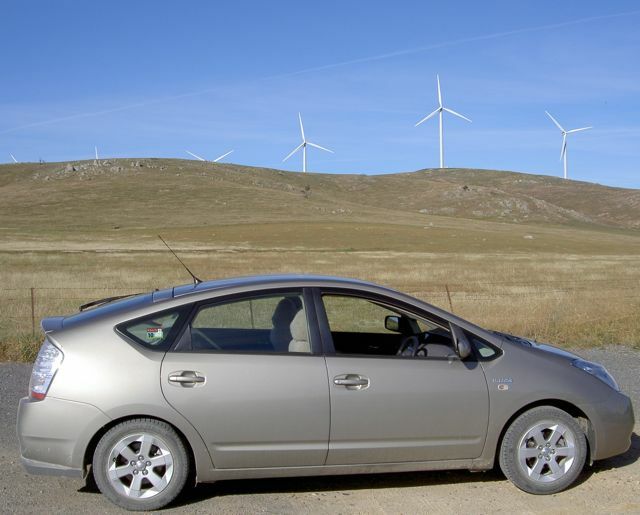 Used to fuel an electric car we would expect to travel 5 000 kilometres on this much energy. 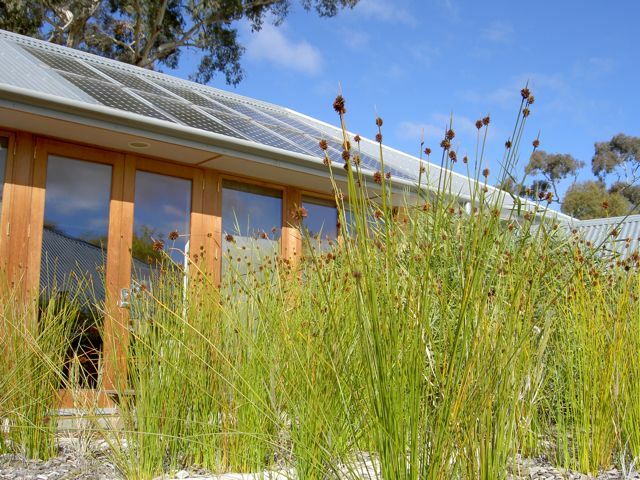 Canberra’s Sustainable House provides advice on sustainable product selection to assist householders cut their energy bills.